We are huge fans of the Center for Biological Diversity. Edward Humes, in his book Eco Barons said, the modern American environmental movement has been reinvented by the Center for Biological Diversity. You can sign up here to use your mouse to save a grouse. Or a sea otter. 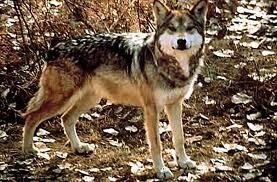 Or a Mexican gray wolf. Because your voice can sway the decisions of public agencies that determine the fate of species nearing extinction. Support biodiversity through the Center’s Greener Giving Guide. Choose “eco-reads”, stuff the stocking with “mini-species” or learn options to make part of your online shopping spending go to protect diversity on our planet. A Merry Christmas, indeed.